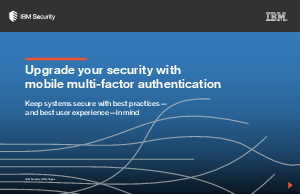 Authentication, though, is increasingly about more than system security. It’s also about meeting user expectations for ease of use, privacy and overall experience—especially in financial and healthcare enterprises. Authentication is crucial, but it needs to be frictionless to avoid frustrating users—whether they are customers, partners or employees.